Celebrity attorney Mark Geragos was dropped by CNN on Monday after the Wall Street Journal identified him as the unnamed co-conspirator in the criminal case against Michael Avenatti. A spokesperson for the network told TheWrap that Geragos “is no longer a CNN contributor” but did not say when he was let go or why. Geragos’ office declined to comment. On Monday Avenatti, who rose to prominence representing adult film star Stormy Daniels, was arrested in New York City on charges that he tried to extort more than $20 million from Nike. In the complaint, prosecutors described an unidentified co-conspirator as “CC-1.” The Wall Street Journal later identified him as Geragos. Geragos’ name was quickly scrubbed off the network’s website Monday afternoon. 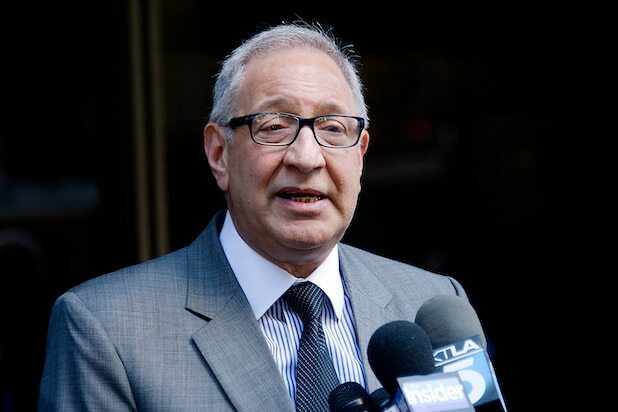 A prominent attorney to troubled Hollywood stars, Geragos currently represents former “Empire” star Jussie Smollett, who is accused of paying two men to attack him in what police say was a scheme to raise his profile and salary on the Fox series. Geragos appeared on CNN earlier this month to discuss the case. Geragos has also represented Michael Jackson, Winona Ryder, Susan McDougal and Colin Kaepernick. This story was first reported by the site Contemptor.